From Big Data to the migrant crisis via gender mainstreaming, the Euro and global warming, the world is in motion and seems to rotate ever faster. The dynamics that have been in progress since the 1970s refer to just one historic model: the time before 1914. Both these eras confirm that man is able to unleash enormous forces– but can have great difficulty controlling them. „21.0“ is a historic crash course through the fundamental problems of our time: when and how did they emerge? What is really new in our present, and what corresponds to the patterns we have seen emerge in the past? Which are the most important developments of our time and what future directions can now be predicted? With bold strokes, Andreas Rödder again and again opens up fresh and unexpected perspectives on Germany in its European, Western and global contexts. Andreas Rödder is Professor of Modern and Contemporary History at the Johannes Gutenberg University in Mainz, focusing on international history during the 19th and 20th centuries. He has written five major books, including his highly praised history of German reunification (“Deutschland einig Vaterland. 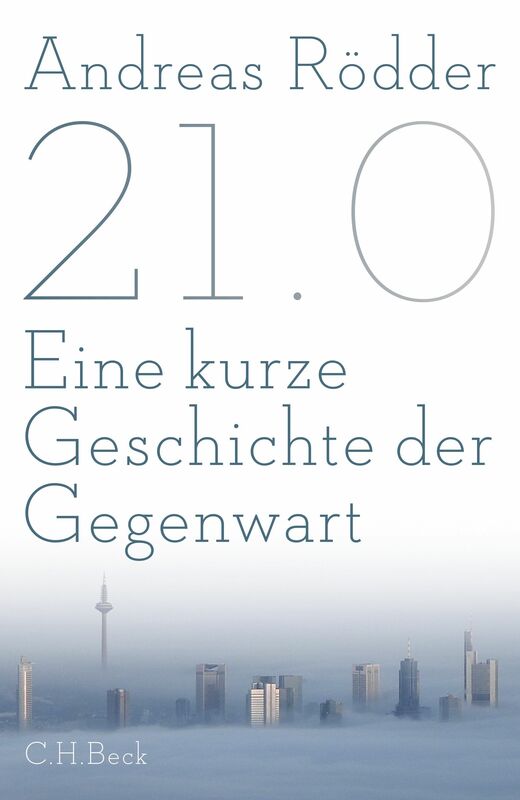 Die Geschichte der Wiedervereinigung”, Beck 2009). He has been Visiting Fellow at the Historisches Kolleg in Munich (2001/02), Visiting Professor at Brandeis University, MA (2004) and Gerda Henkel Visiting Professor at the London School of Economics and the German Historical Institute London 2012/13. Click here to find events and press reviews on "21.0".